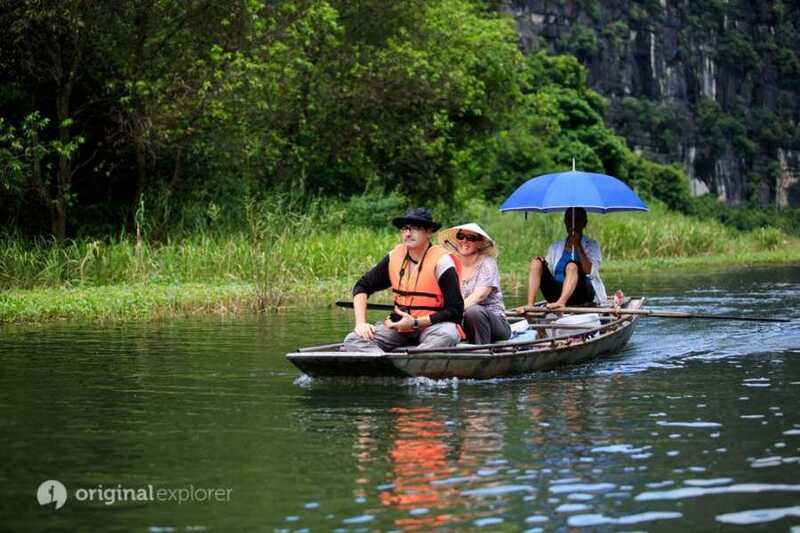 Discover breathtaking Hoa Lu- Tam Coc & Trang An , these famous sites are located in Ninh Binh province, 95km south of Hanoi. Historical Sao Khe River mountains resemble the topography at Halong Bay. Biggest difference is that is situated on land and contains rice paddies around. 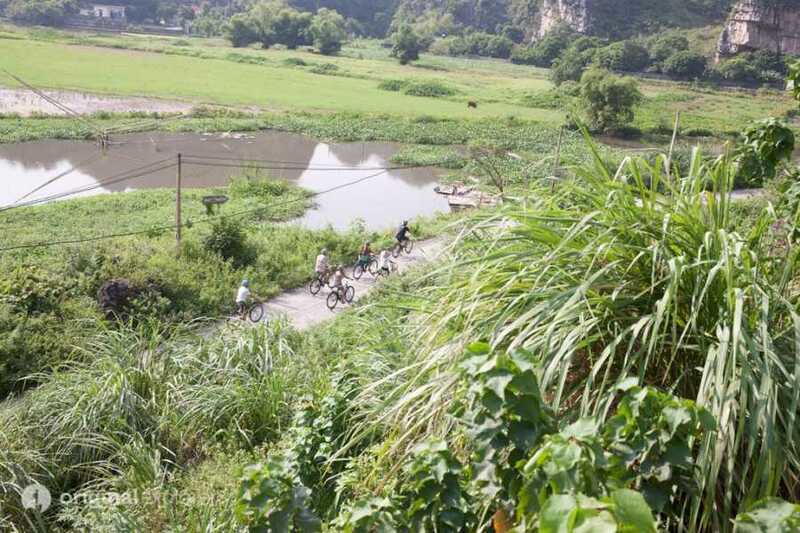 The area supports farmers with stray goats on the karsts hillsides and fishermen. 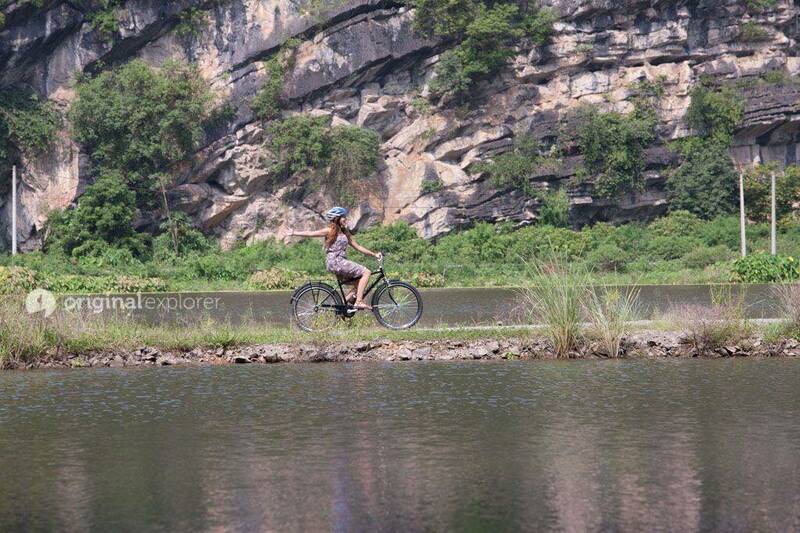 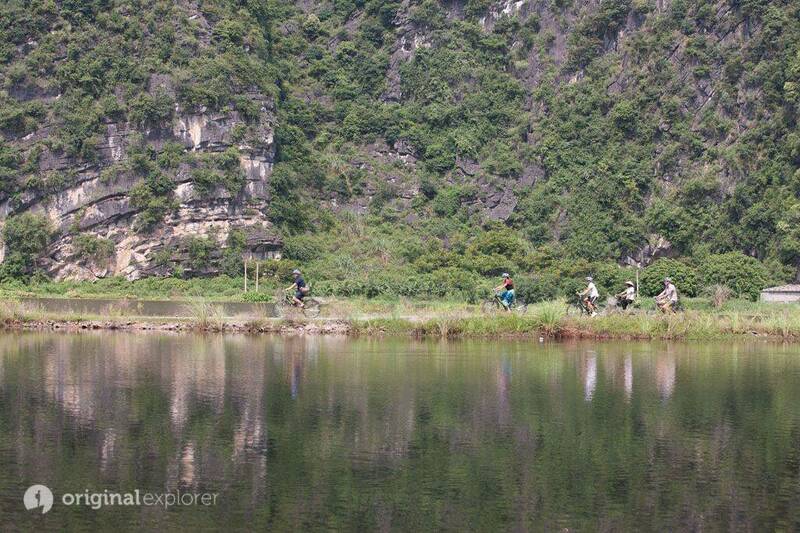 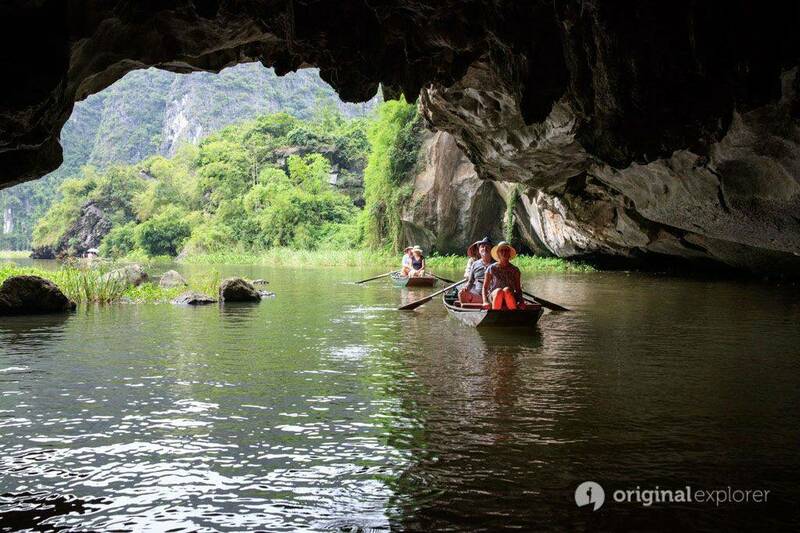 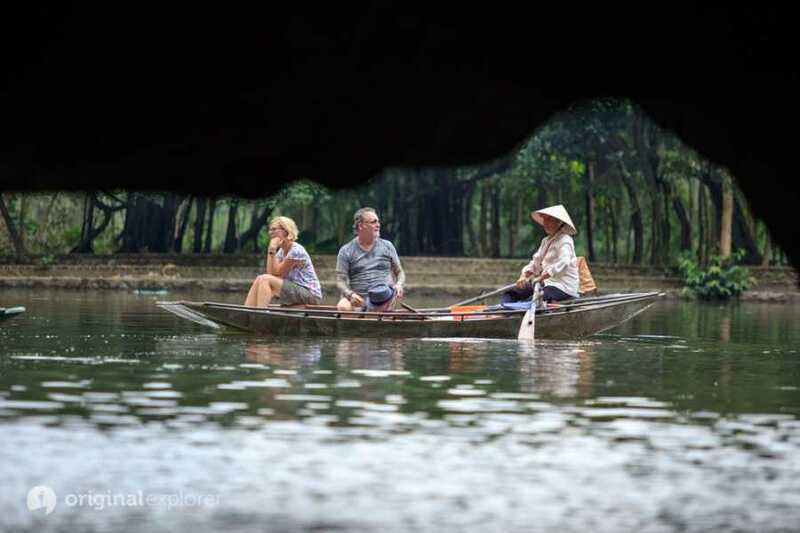 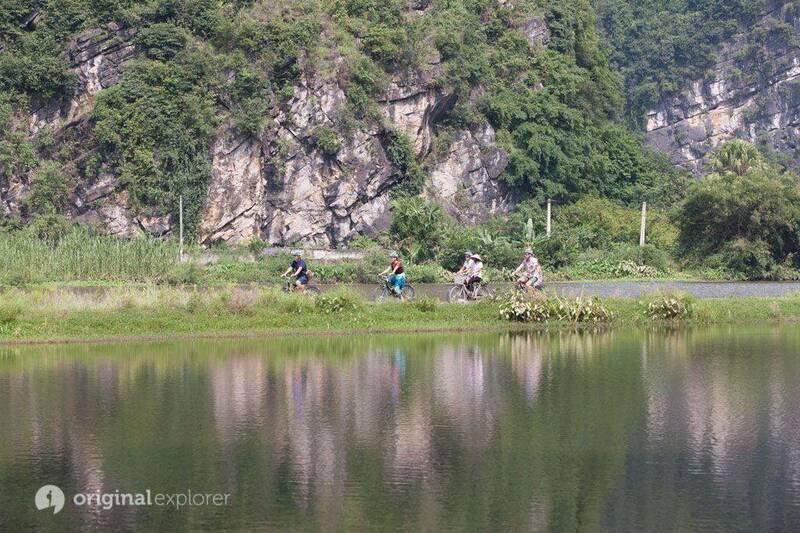 This trip is unlike any other tours you’ve ever been on in Ninh Binh. 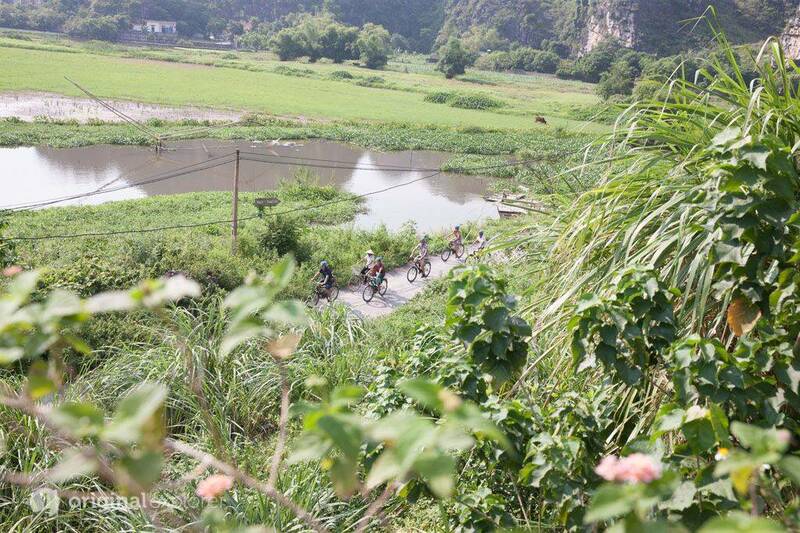 We will take you to the most remote rural villages, give you the best opportunity to experience the local life. 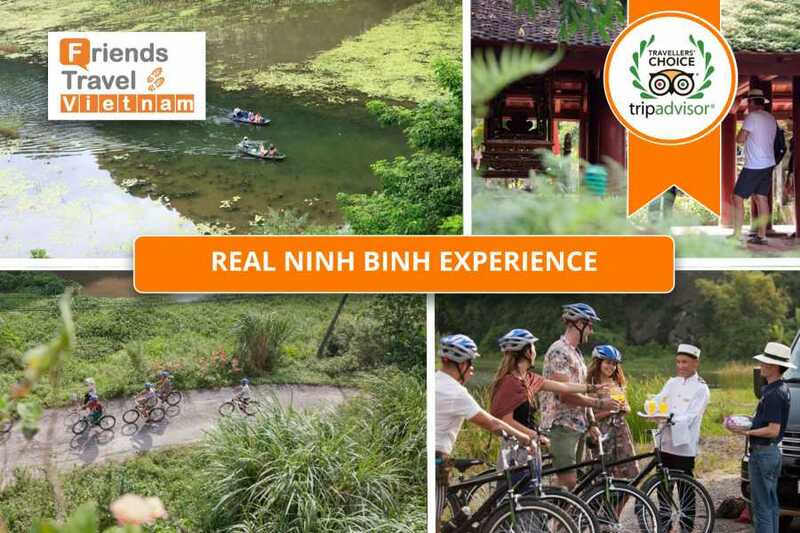 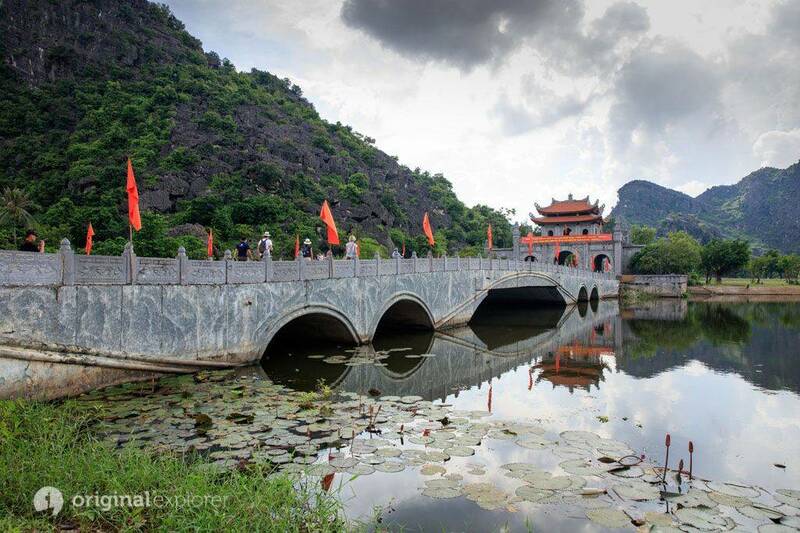 Explore the best of Ninh Binh in a day from inspiring istinerary to high-end quality and service that we provide. 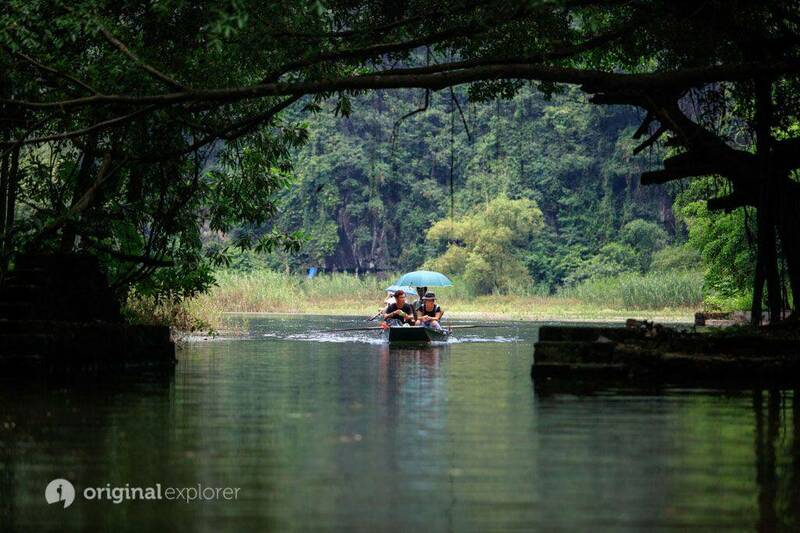 Sure you will love it! 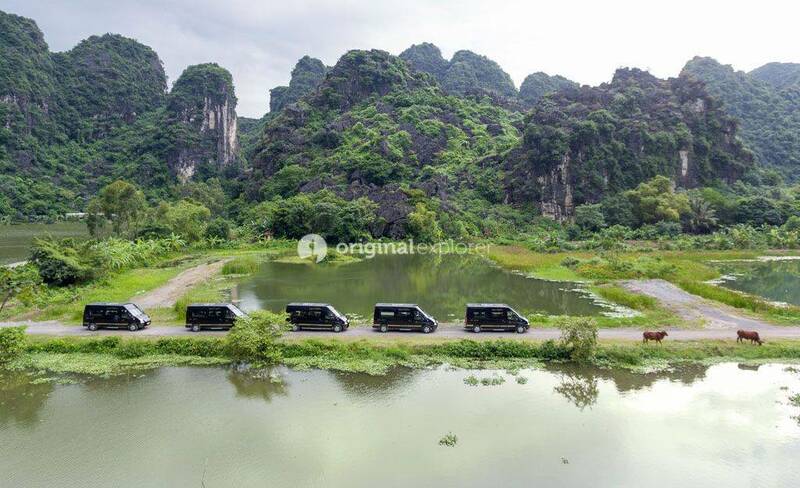 Located 120km south of Hanoi, Ninh Binh province is renowned for gorgeous scenery of other-worldly limestone mountains rising majestically out of rice-paddy fields, exquisite river deltas, stunning architecture of temples complex, intriguing history of the past and intoxicating rural life to discover – it’s no wonder that Ninh Binh is one of the most exciting destinations for a day to break from Hanoi.This tour is friendly and safe for families with children and we guarantee 100% satisfaction! 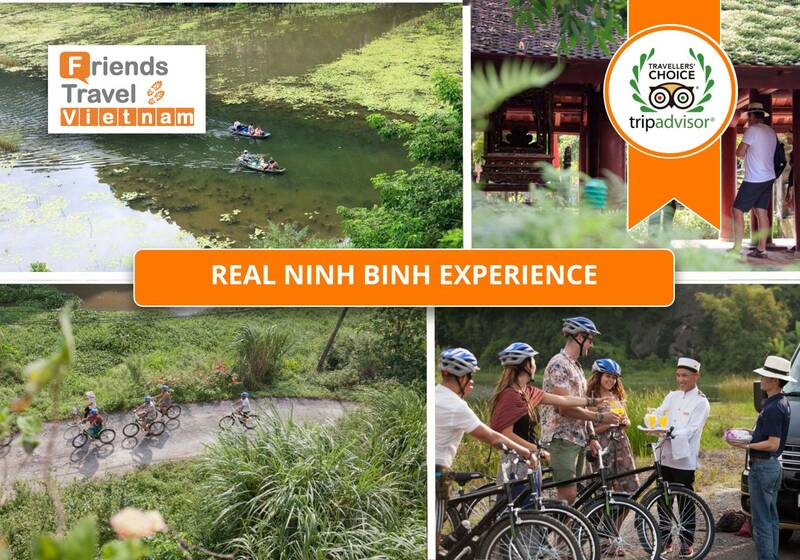 Approx – You will be met by Bus Line tour guide at your hotel in Hanoi. 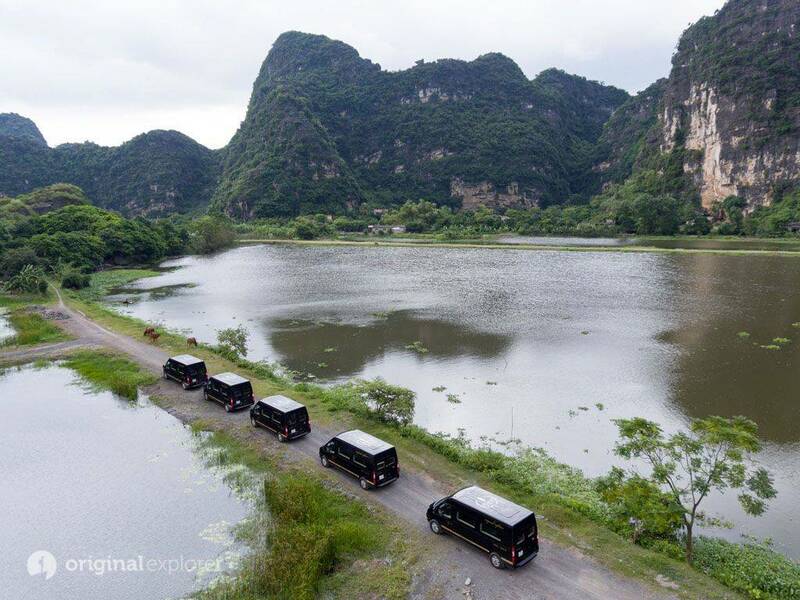 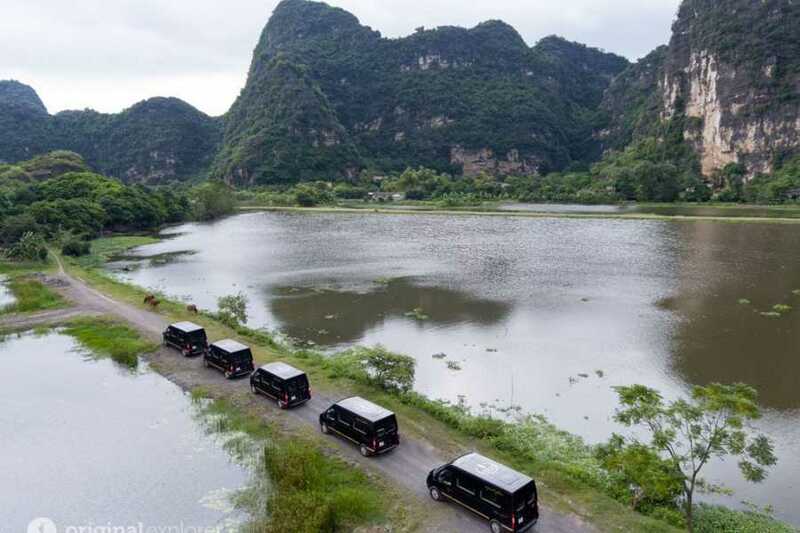 – Start two-hour road journey to Ninh Province via express way aboard ultra-luxurious chauffeur-driven limousine. 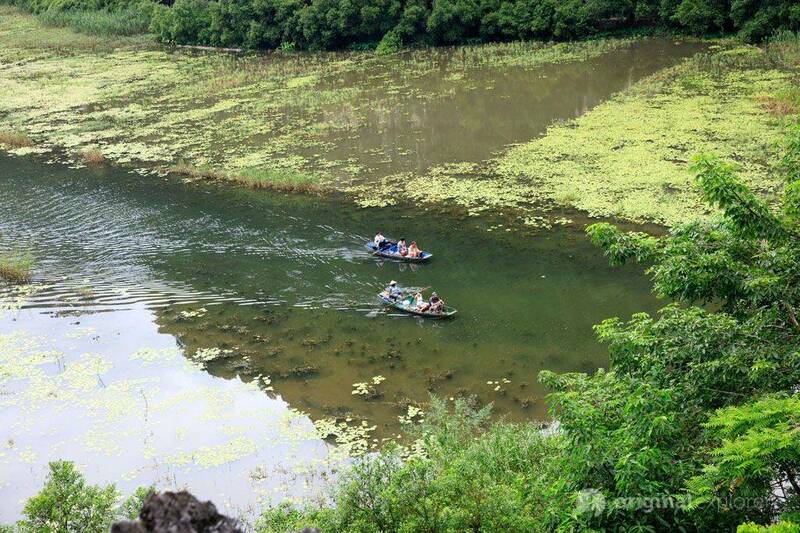 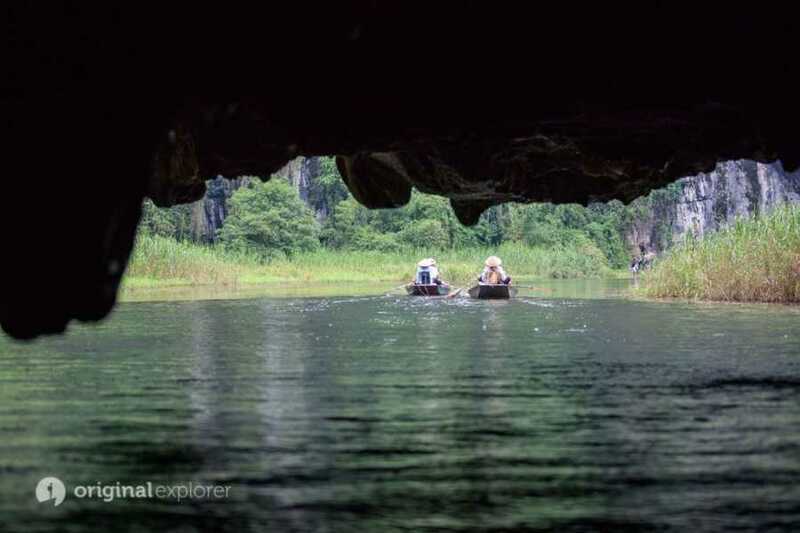 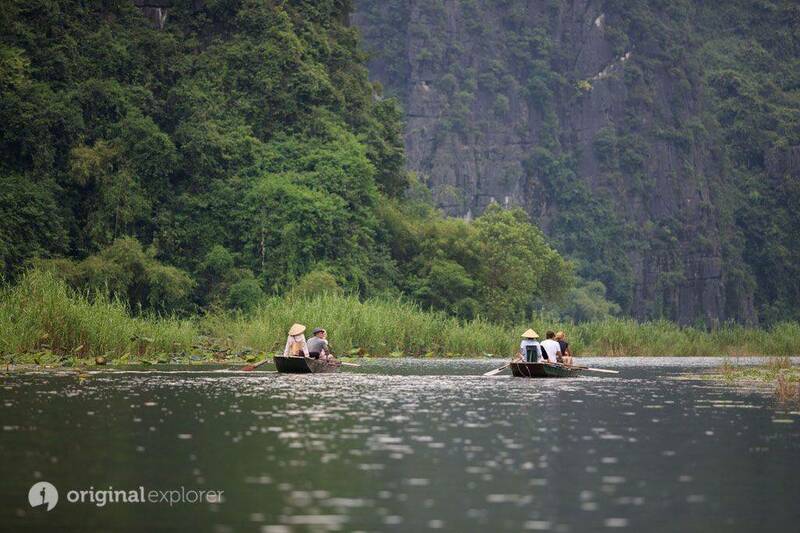 – Rowing-boat ride Tam Coc without tourist crowds - Leave all the other travel fellow behind and explore Tam Coc without crowds. 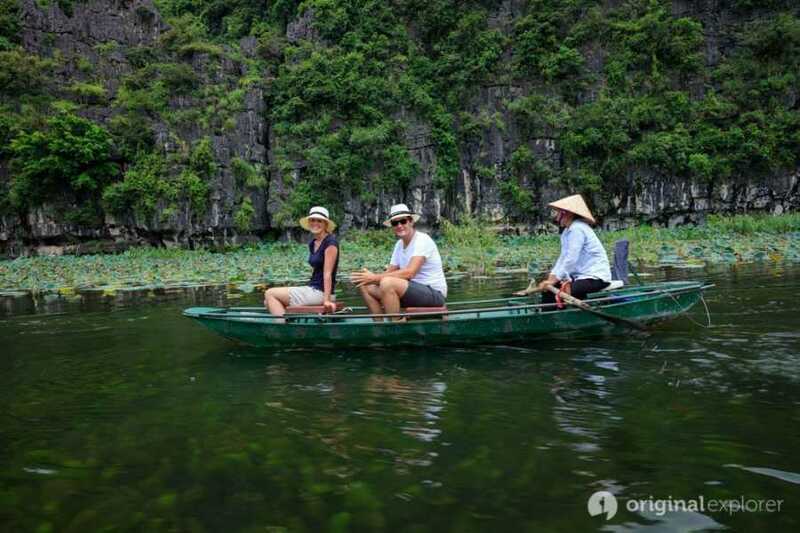 Embark on a rowing-boat ride gently gliding on exquisite Ngo Dong river amid dramatic natural sceneries of a maze of Limestone Mountains rise majestically out of flooded –rice paddy fields covered by lust jungles. 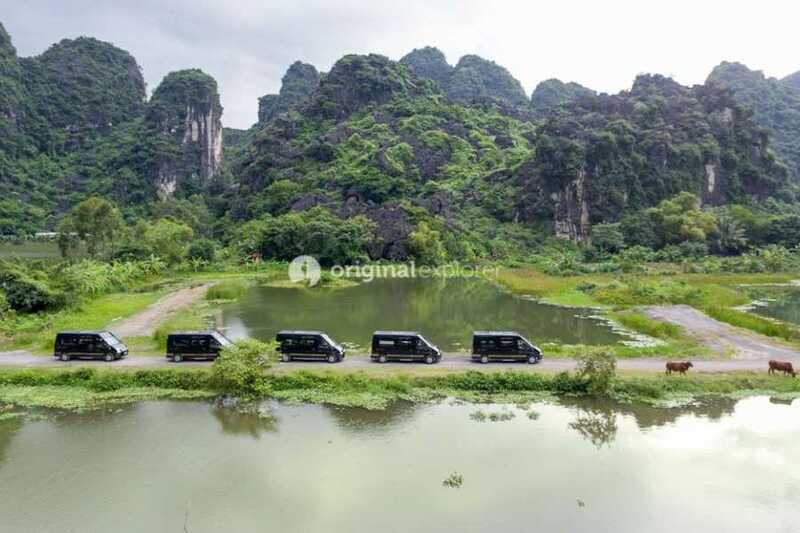 - The highlights are secret passages of stalagmite caves so-called Hang Ca, Hang Hai, and Hang Ba leading into hidden valleys and opening up views of one stupendous vista after another. The tranquility - except the soundtrack of the mirrored water lapping against the oar as if stepping back in time to another world. 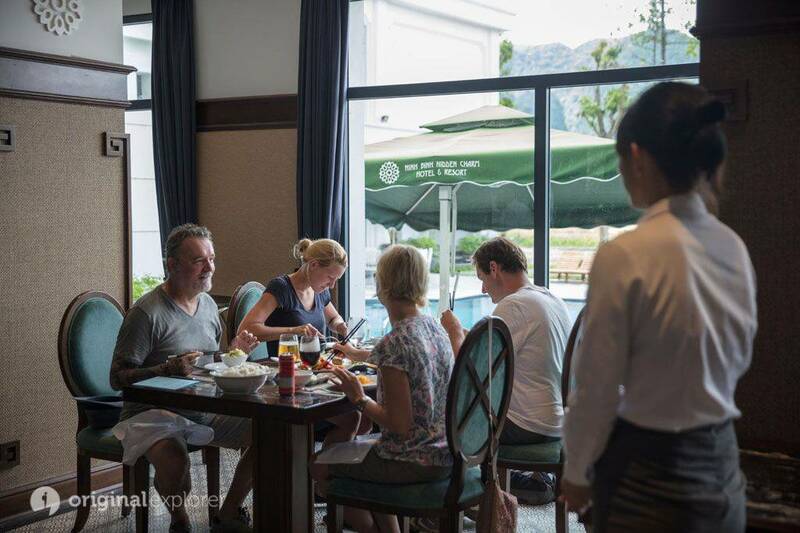 - Savour a mouth-watering lunch - Lunch is served in a standard restaurant from 4-star hotel. Here, mouth-watering Vietnamese dishes are perfectly accompanied by flawless attentive service and drinks while the stunning landscape of countryside is always in views through expanded windows. 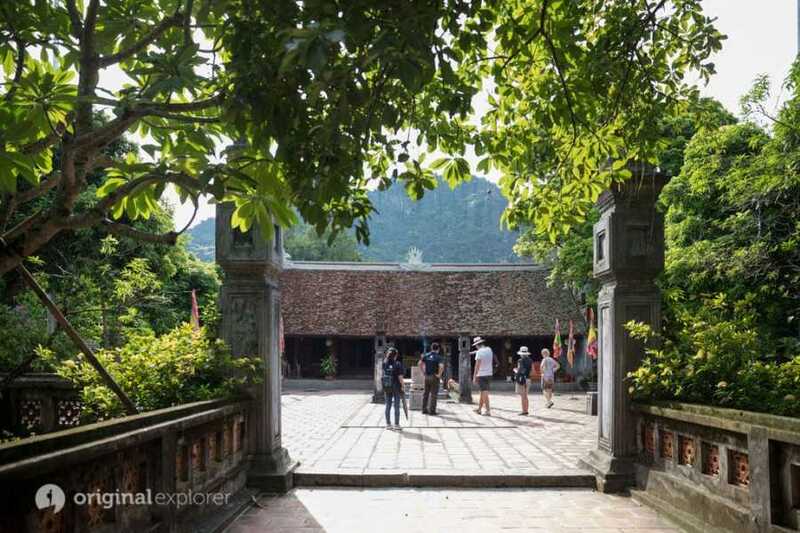 –Visit temples complex in Hoa Lu - Visit Dinh & Le Temples in Hoa Lu en-route. 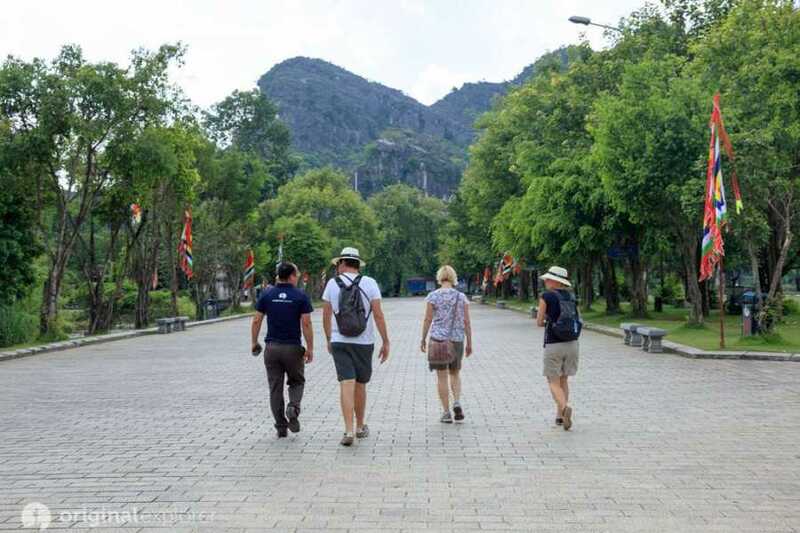 The 2 main sanctuaries are dedicated to the Dinh and Le dynasty dated back in 11th century and also are historical significance of Ninh Binh province. Here, visitor are enthralled by the stunning architectures, meet the people and live a part of interesting history. 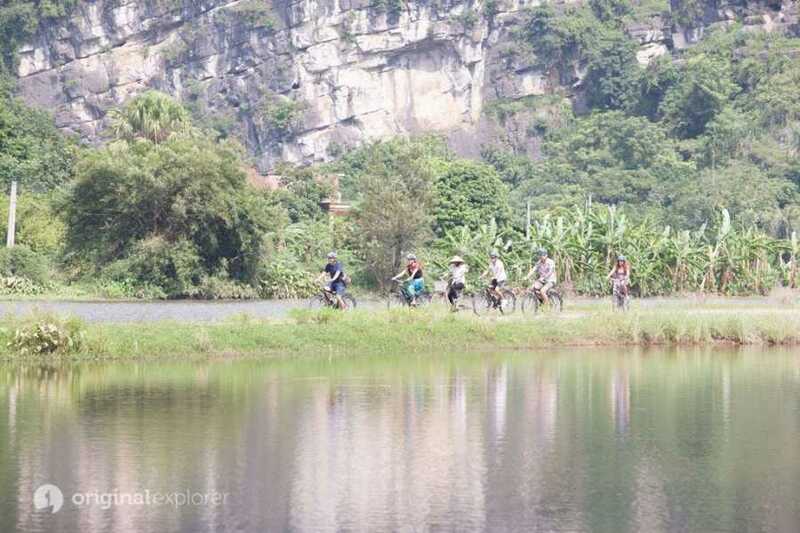 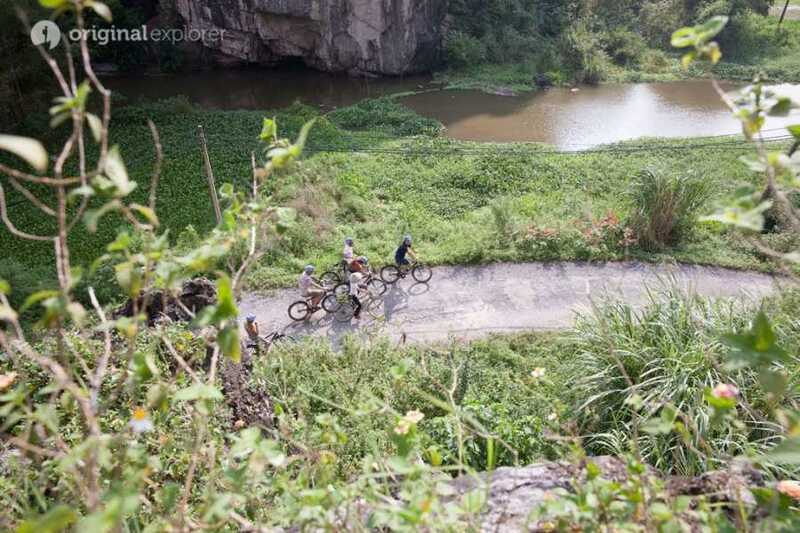 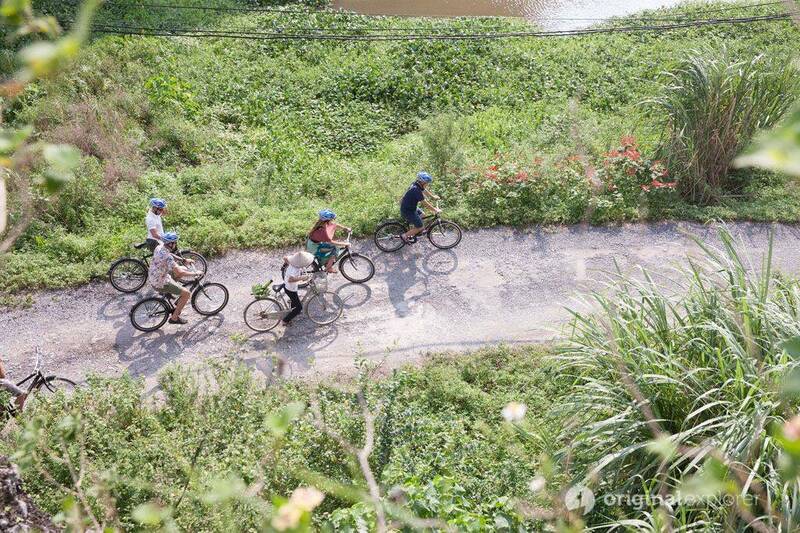 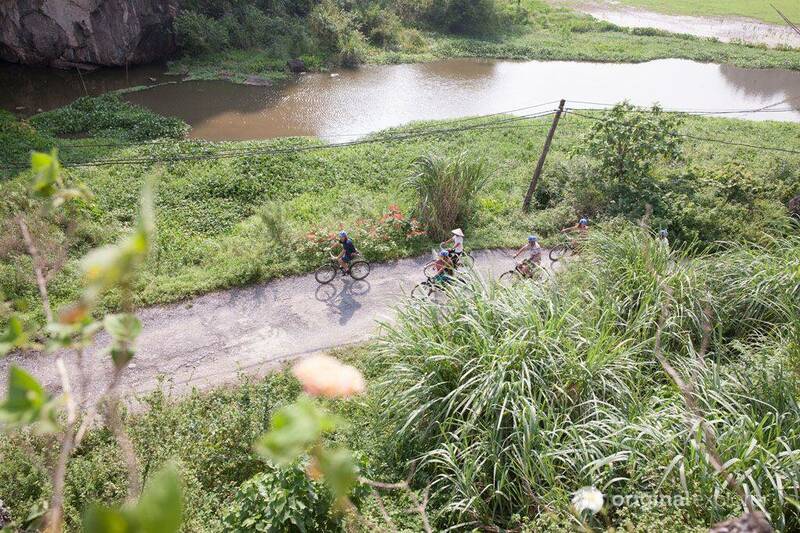 - Cycling off the beaten track in Trang An - Chauffeured to Ancient land of Trang An that recently listed world heritage site. 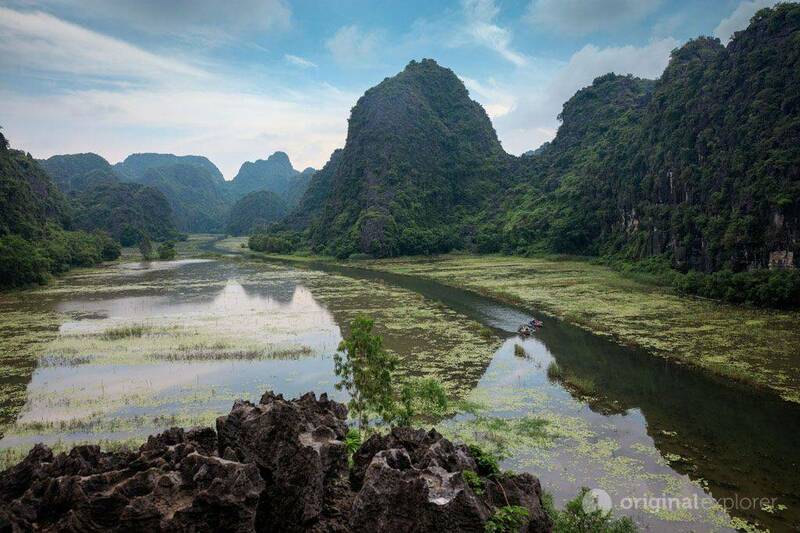 Famed for endless stunning vista of abundant valleys, extensive canal network and especially the magical backdrop of rugged krast Limestone Mountains dotted with red-roof local houses. 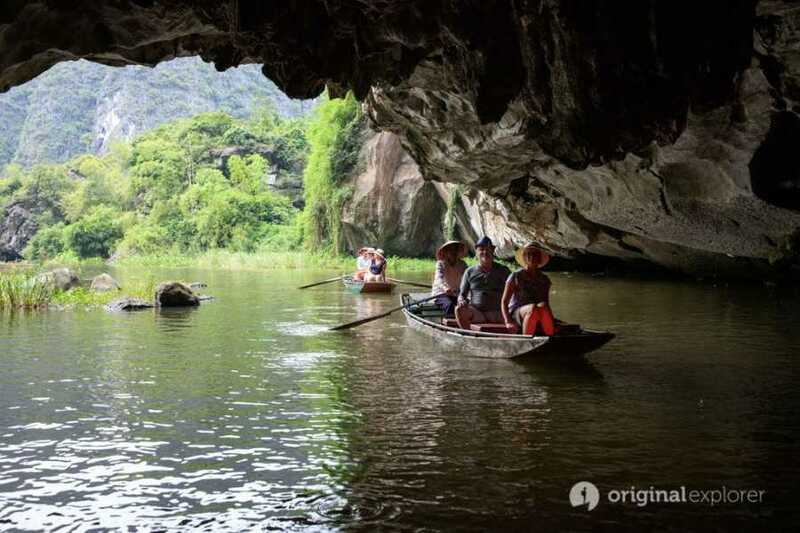 Apart from outstanding atural beauty, Trang An also is rich of culture and indigenous people here have maintained their traditional way of life from beyond centuries. 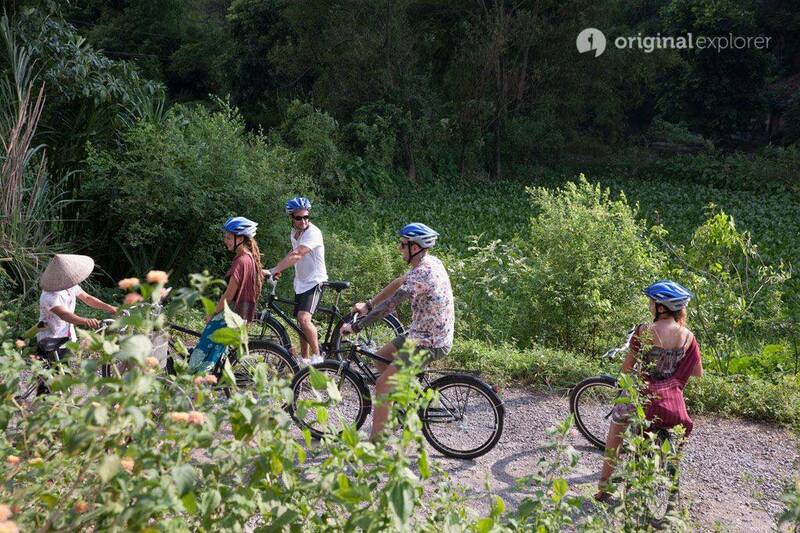 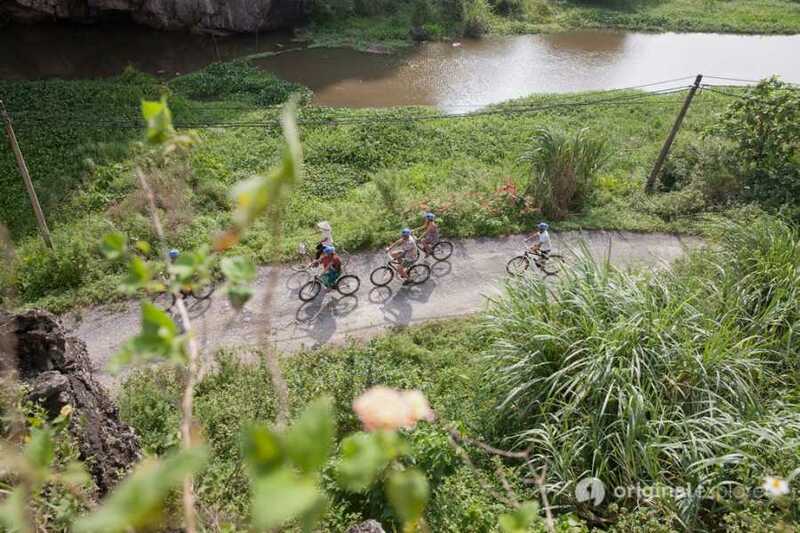 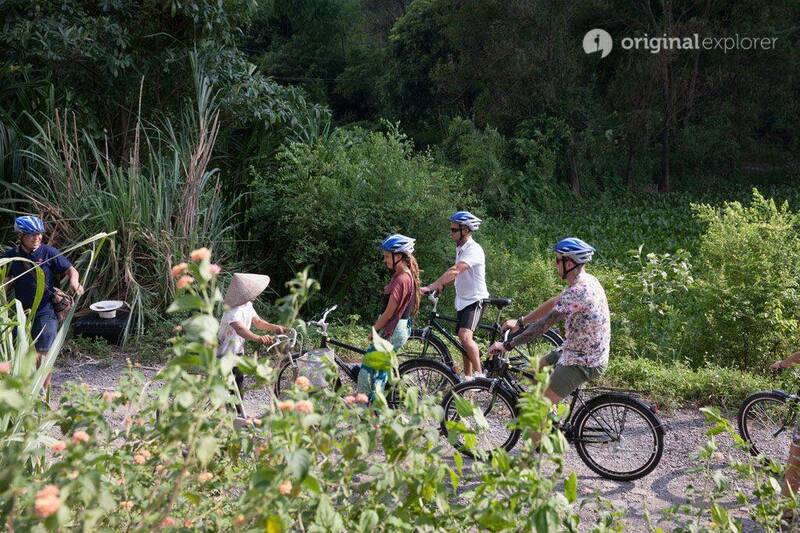 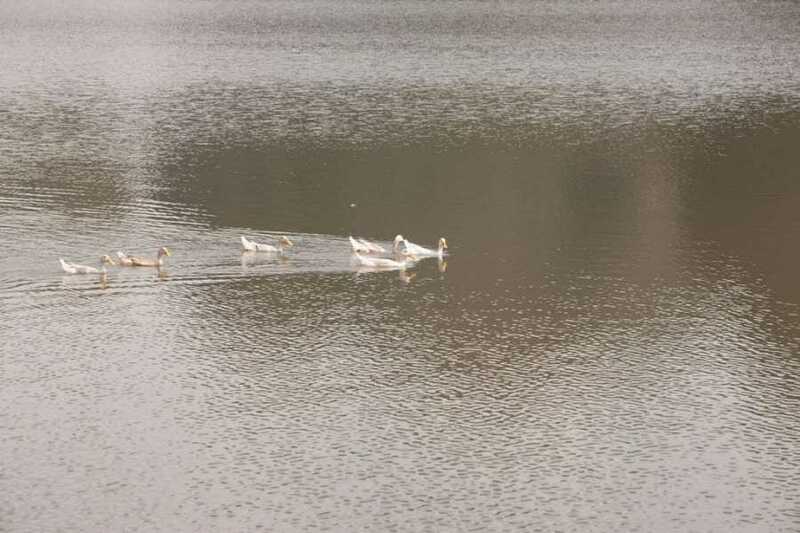 - After a basic instruction by our expert guide on how to cycling safely at your comfort, we take a 5km bicycle ride off the beaten track through gorgeous sceneries of Trang An on a village road and encounter buffaloes, ducks and goats on the way. 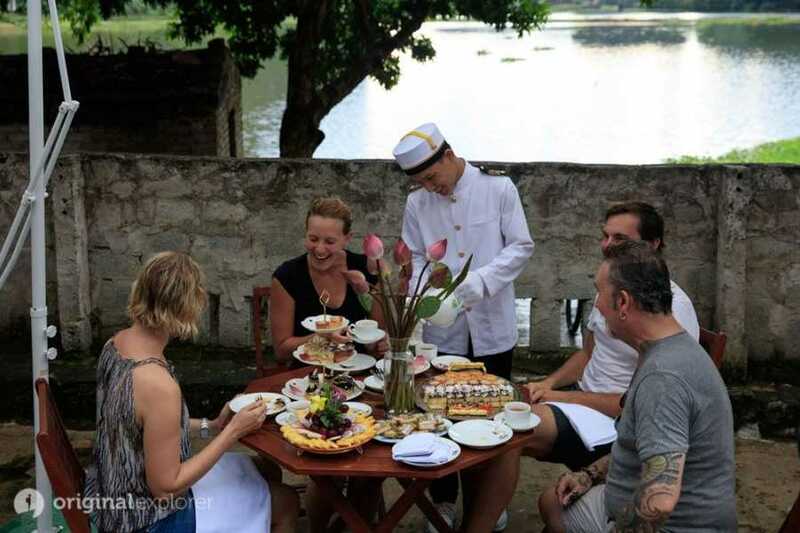 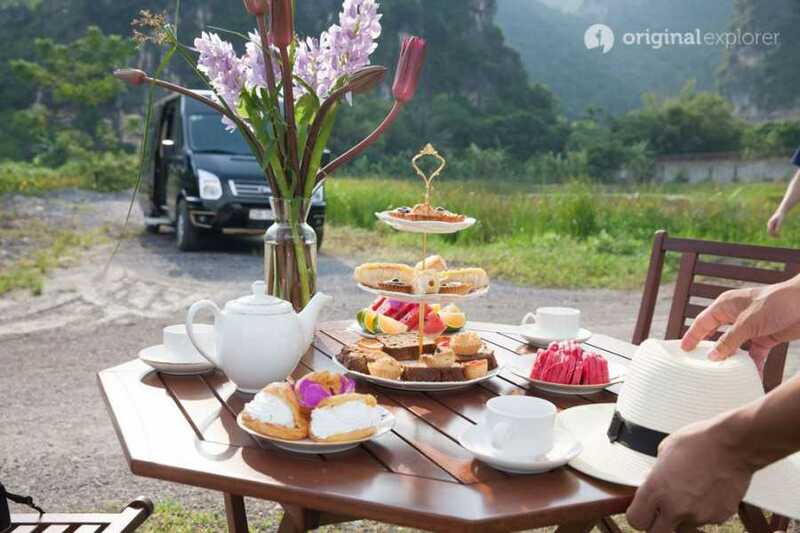 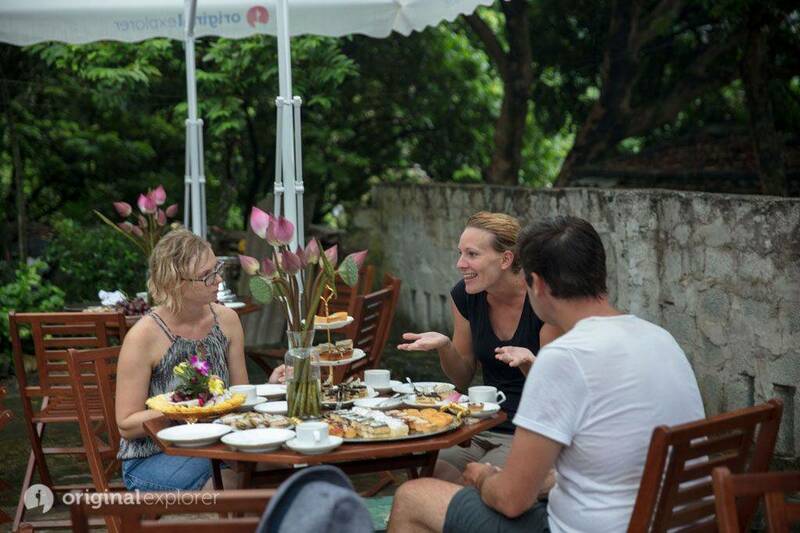 – Savour magical afternoon tea at sunset Our tour finished with a magical afternoon tea served by our white-gloves chauffeurs, admire sunset over magnificent mauntains before embarking on another ultra-comfort limousine ride back Hanoi. 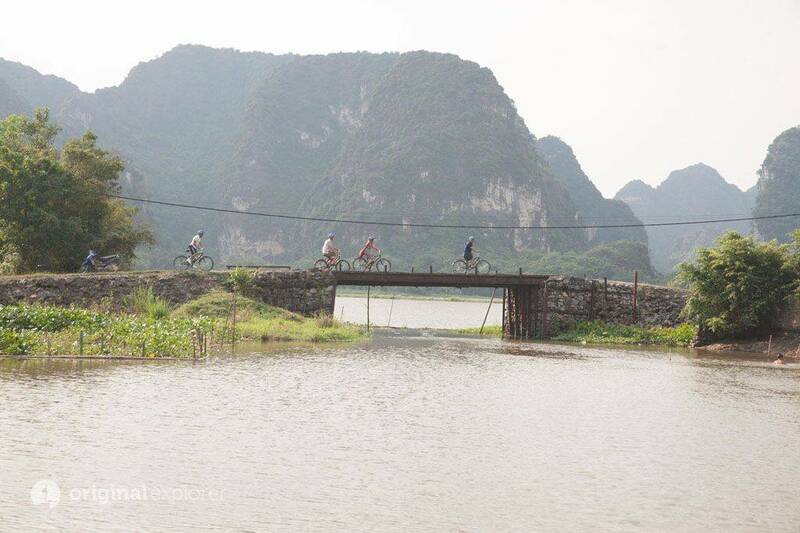 19.00 – Arrive Hanoi. Drop off at your hotel door-steeps to end servicce. 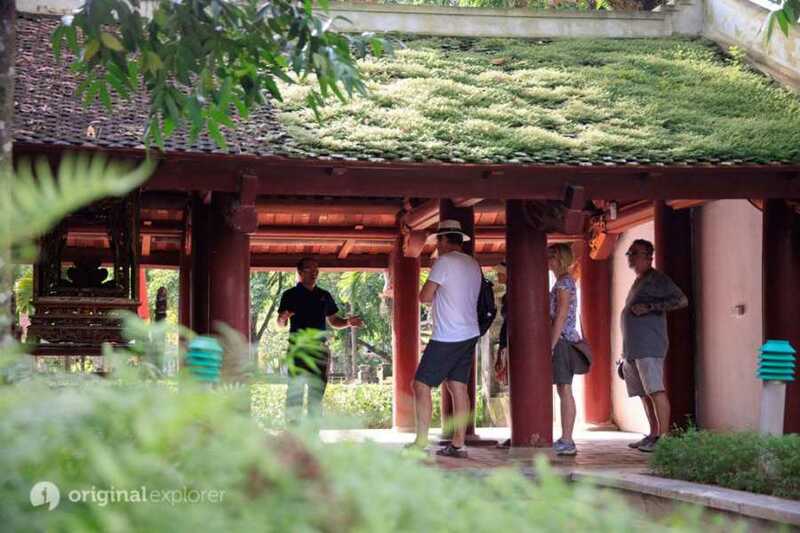 - Charming guide – English speaking. - Sun glasses, sun cream, camera, pair of shoes and short trousers for biking. During the period November to March it is advisable to pack rainwear and warm clothing, your camera and lots of batteries. 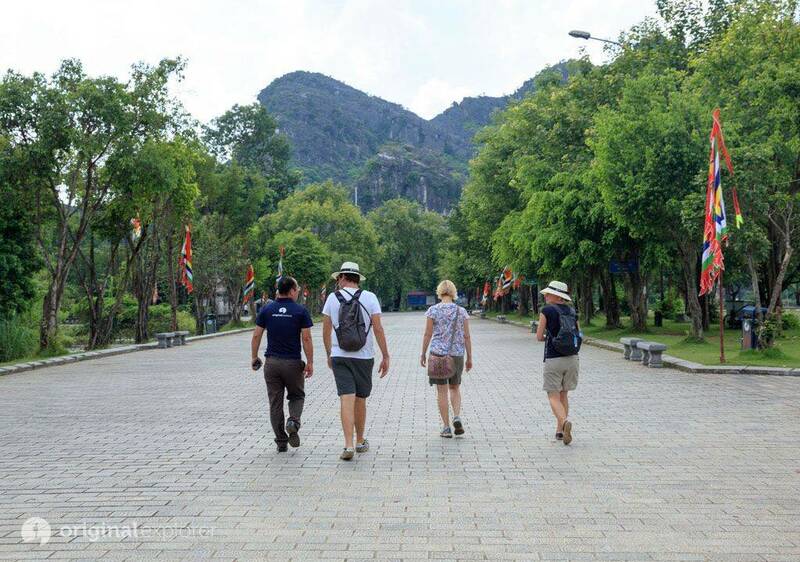 Daily departure from Friends Travel Vietnam's booking office at 62 Hang Buom street Hanoi, Vietnam. 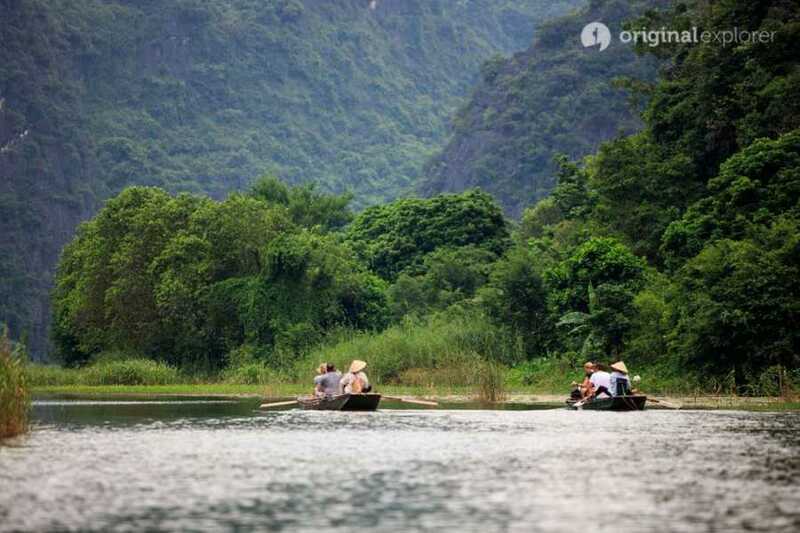 Discover breathtaking Hoa Lu Tam Coc, Trang An, these famous sites are located in Ninh Binh province, 95km south of Hanoi. 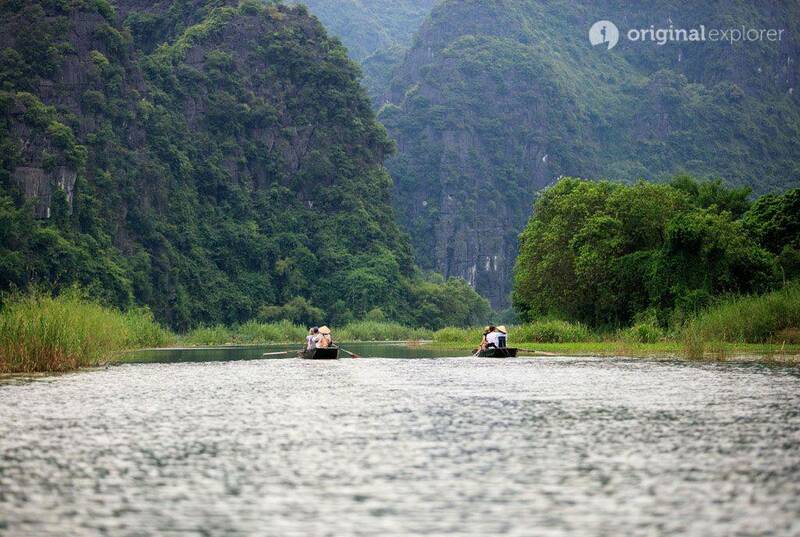 resemble the topography at Halong Bay. 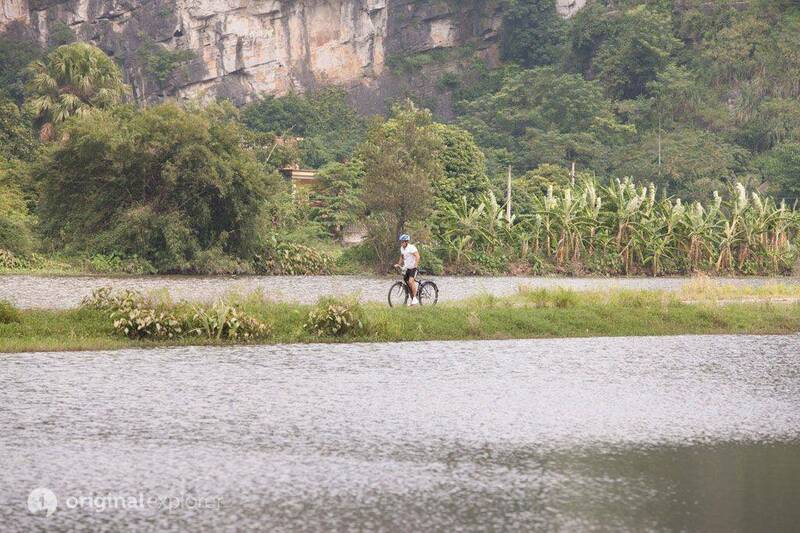 Thing to bring: - Sun glasses, sun cream, camera, pair of shoes and short trousers for biking.